Obviously we all know the saying practice makes perfect, but looking back over the last year I am amazed at how true that saying really is. Writing almost every day has made me a better writer, taking photos every day has made my photos better. This time last year I had never made play-dough. Now we are play dough making pros. Just the act of doing something everyday has made me better at it. When I first started teaching art I was always a little self concious of not the being the best drawer or painter. To me those things equated being an artist. In the last year I have realized that creativity comes in lots of forms, and I really have my kids to thank for that. Being with little children, who see the world with so much possibiltiy is contagious. I see them building with blocks which quickly becomes a trip to the moon, and it makes me see the creative possibility in things too. One of the biggest lessons I have learned about myself this year is that I really like to make stuff. I always associated that aspect of my personality with my job. However in being home I have realized it wasn't just a part of my job it is really a part of me. Looking back I have made a lot of things this year both with the kids and by myself. I see now how much more confident in my ability I have become along the way. One of the things I have always known about myself is that I don't sit still very well, I usually need a project or something to do (hence this blog.) But honestly big projects and little kids don't always go hand in hand. So I have created projects for myself that involve the kids and the kinds of things I would have done with them anyway i.e. The Playground Tour and The Farmers Market Tour and through these projects I have learned how much you can learn just from going somewhere new. Sometimes we meet a new friend, sometimes we find a new shortcut, or a new favorite place. Sometimes I learn that you should always check to make sure you packed extra underwear and other not as fun lessons but I still always feel like I came away from the journey feeling like it was worth it. One of the hardest parts of being a stay at home mom, is that it is often isolating. You don't often get to interact with other grown-ups and when I do I am often distracted by the kids and not fully focused on the conversation. I have found other blogs, sites and thing like instagram, not only inspiring but also comforting. After a bad day or rough period it is nice to know that others have gone through the same thing and even read about some of the things that helped them. This is lovely. 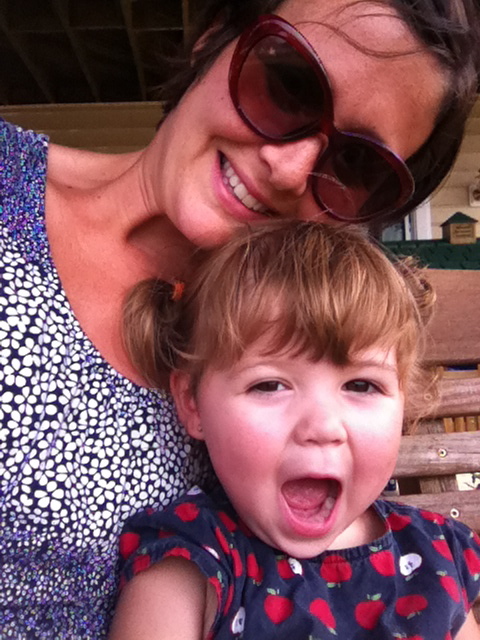 I've been blogging since I was pregnant with #2, who is now 18 months. I don't always get around to it, but I'm reasonably disciplined... I don't know if I've improved or not to be honest... However, it does make me feel as though I'm a person in my own right (even though most of the posts are about the children, they are my thoughts). Just wanted to say hi, and I can relate.